In October 2009, Crocker Ltd was awarded a National Trust for Historic Preservation Honor Award for the restoration of the Gutiérrez-Hubbell House. Scroll down to view the National Trust for Historic Preservation's award video. 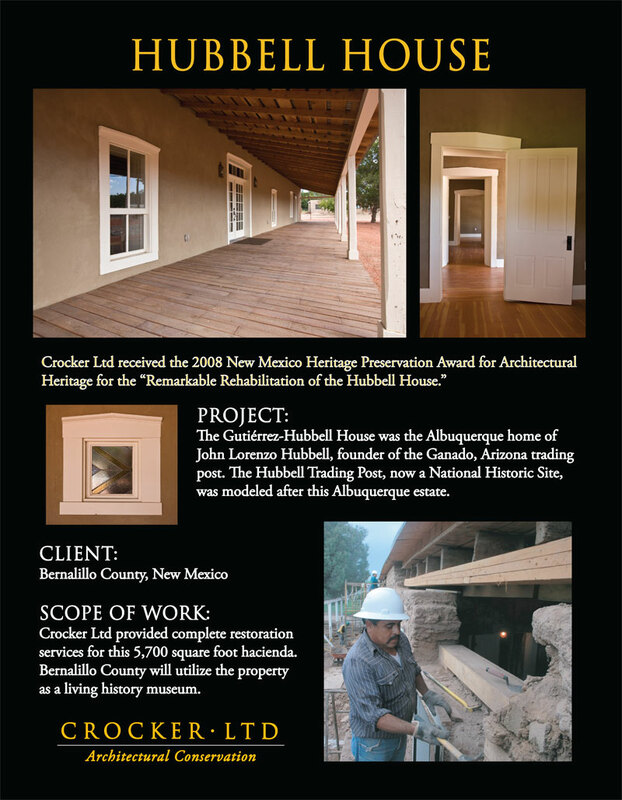 In 2008, Crocker Ltd was awarded the New Mexico Heritage Preservation Award for Architectural Heritage for the "remarkable rehabilitation of the Hubbell House." Click the image for a poster-sized, higher res PDF.